… ALL HANDS ON DECK! The Deep State is closing in on Julian, and the captive Fourth Estate is mostly mum/mired in money. Please make your friends aware of this Fifth Estate event. Ray adds: With all hands on deck, we can do this. 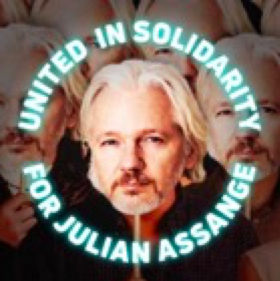 ← Amid rumors that Ecuador is about to render Julian Assange to the tender mercies of the UK/US, we post Ray’s video interview with Julian supporter Suzie Dawson. Shamefully, by their servile silence, Establishment media show they don’t give a rat’s patootie about freedom of the press.